Magazine enthusiasts yearn for this time of year, when all the huge September issues start to roll out. ELLE is the latest publication to unveil its big fall issue, and for what’s considered to be the industry’s most anticipated and celebrated installment, it appears to fall short of expectations. 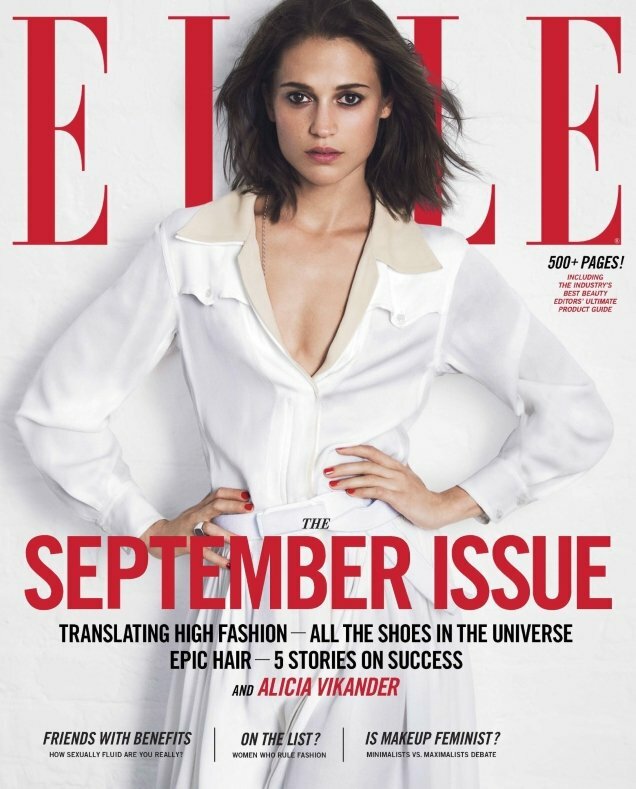 Moving on from a beautiful August cover featuring Emilia Clarke, actress Alicia Vikander becomes an ELLE cover girl once again, wearing Louis Vuitton (obvi), shot by David Bellemere. The cover was declared a total disappointment by our forum members. “She looks like something you would see sleeping on the sidewalk outside of a night club. She looks tired, the dress looks tired, and this cover looks tired. Last month with Emilia was a knockout, this is a hot mess. Next!” exclaimed GivenchyHomme. “Crikey!! Her worst cover ever (even surpassing Porter), exceedingly depressing. Looks more like a snapshot of an abused woman. No wonder certain celebs demand photo approval,” noted Benn98. “Really? For a September issue? She’s terrible in print. And this styling… could it be more safe?” asked narcyza. Mepps wasn’t exactly feeling it, either. “I just don’t get her appeal at all. She’s always such a nonentity on every single cover I’ve seen. She’s beautiful on paper, but doesn’t have any allure,” he pointed out. “If her name wasn’t in this thread, I’m really not sure I would have recognized her,” Lucien112 said. Do you feel like ELLE‘s latest is a total miss? Voice your opinion with us here.